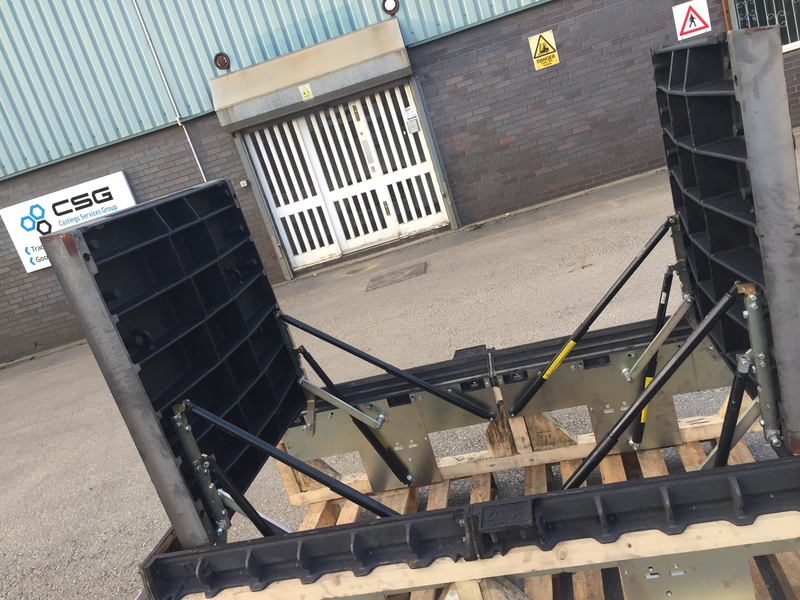 This week, we surpassed our customers’ expectations by supplying an impressively designed, 1820 x 900mm clear opening, assisted lift manhole cover and frame over 3 weeks ahead of schedule. The early delivery means that our customer can now continue with their on-going project with the realistic aim of early completion. This air, gas and watertight beast has four spring assisted struts – two for each lid, making it possible to lift each 205kg lid with your index finger. A health and safety managers’ dream! What is an Assisted Lift Manhole Cover? 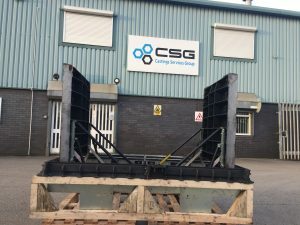 Assist lifting is an adaptation that can be made to the majority of manhole covers whereby gas, hydraulic or spring rams are added to the underside of the manhole cover so the weight of the individual lid is carried by the rams thus removing any lifting effort. What are the advantages of an Assisted Lift Manhole Cover? There are two main advantages of using assistance on a cover, the most obvious being for reasons of health and safety. A single person can easily lift a cover that would normally require two people to manhandle which reduces the risk of personal injury. Furthermore, when in the open position the lids are held back past 90 degrees and blocked in place which prevents accidental closure. The second reason for specifying assisted covers is convenience. If the chamber is going to be accessed on a regular basis then it is much quicker and easier to have the lids fitted with assistance struts. A single operative can open and access the chamber without the need for mechanical lifting or second operative to help with manual handling. Where would you use Assisted Lift Covers? Water Treatment Works and Telecom Exchanges are the most common places to use assisted covers as these chambers tend to be accessed on a fairly regular basis for water sampling or cable work but they can be useful in many other applications for example on lighting pits on airport runways. 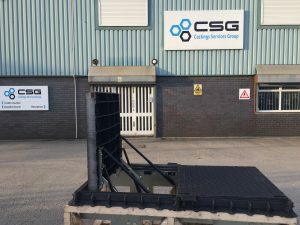 If you would like to learn more about Assisted Lift Manhole Covers and how they might help you then please contact one of our experts today on 0161 745 9095 to discuss your requirements.